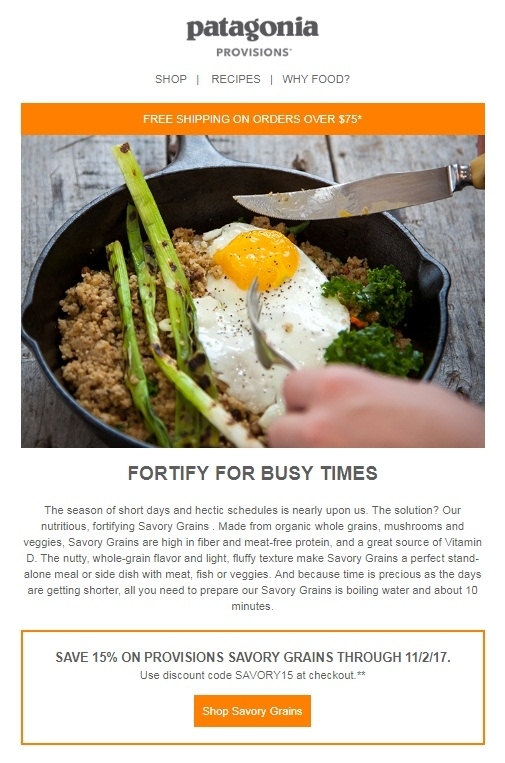 Ibraim P. Simply get into the link below, add to the shopping cart the item(s) that you want to buy, apply this promo code during checkout and get 15% off Provisions Savory Grains. Offer expires 11/02/17. Some exclusions may apply. See screenshot for more details. Offer good online only at patagoniaprovisions.com and not in retail locations. Not valid with any other offer or discount code.